Politicians, actors and eminent jurists have written a petition to the President to waive off the 1993 Mumbai blasts convict’s execution, saying it ‘would degrade us all’. of life on Sunday submitted a fresh petition to President Pranab Mukherjee requesting him to waive off the death sentence of Mumbai blasts convict Yakub Memon. In the new petition urging stay against imminent execution of Yakub Abdul Razak Memon, the signatories claimed that there are “substantive and fresh grounds” that can be considered on merits. The petition has come at a time when there is a huge political controversy over Memon’s hanging and the BJP has condemned the remarks by parties against the hanging of Memon saying such a defence is happening due to “petty politics”. BJP MP Sinha, who had a day before met and praised Bihar Chief Minister Nitish Kumar, has once again gone against the party’s stand on the Memon issue. In the 15-page petition, the signatories have cited various legal points and international commitments to argue that Memon should not be hanged. “We most humbly request your Excellency to consider the case of Yakub Abdul Razak Memon and spare him from the noose of death for a crime that was master-minded by someone else to communally divide the country. “Grant of mercy in this case will send out a message that while this country will not tolerate acts of terrorism, as a nation we are committed to equal application of the power of mercy and values of forgiveness, and justice. Blood letting and human sacrifice will not make this country a safer place; it will, however, degrade us all,” the signatories said. Besides Sinha and Jethmalani, those, who have signed the petition include MPs from like Mani Shankar Aiyar from the Congress, Majeed Memon from the Nationalist Congress Party, Sitaram Yechury of the Communist Party of India-Marxist, D Raja of the CPI, K T S Tulsi and H K Dua (nominated) and T Siva of the Dravida Munnetra Kazagham, former CPI-M general secretary Prakash Karat, CPI(ML)-Liberation general secretary Dipankar Bhattacharya, Brinda Karat of the CPI-M and filmmakers and actors like Naseeruddin Shah and Mahesh Bhatt, M K Raina and Tushar Gandhi. It also included various academicians, members of the legal fraternity, activists and retired judges -- Justice Panachand Jain, Justice H S Bedi, Justice P B Sawant, Justice H Suresh, Justice K P Siva Subramaniam, Justice S N Bhargava, Justice (retd) K Chandru, and Justice Nagmohan Das, noted lawyer Indira Jaising. Others include academicians like Irfan Habib, Arjun Dev, D N Jha, and social activists Aruna Roy, Jean Dreze and John Dayal. They cited that India is a signatory to an international commitment to abolish death penalty and hence death penalty cannot be imposed in India. “Yakub Memon was not given advance notice of the death warrant hearing and as a result of which he and his lawyers could not participate and contest the issuance of the death warrant. Lack of hearing makes the present death warrant void,” they said, citing a Supreme Court decision in the May 2015 Shabnam versus Union of India and Others case. They said that there are some very “disturbing” aspects of this case which make the award of death sentence to Yakub Memon as “grossly unfair, arbitrary and excessive”. 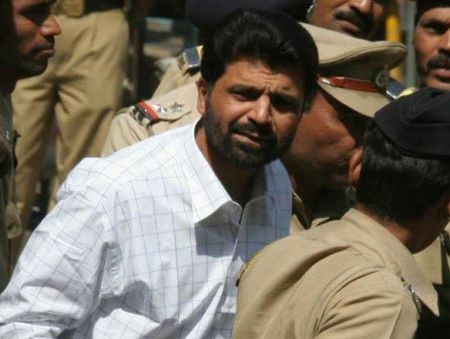 “Yakub Memon has served more than 20 years in prison since his arrest. His trial took 14 years to complete. While the Supreme Court used this long period of incarceration as a mitigating circumstance to commute the death sentences of the other 10 co-accused persons, it applied a different yardstick to Yakub. “The Supreme Court has repeatedly held that lengthy incarceration during pendency of appeal in death cases is a significant mitigating circumstance, which ought to be considered in determination of sentence. In the interests of justice we request you to give due importance to this,” they said. They also argued that Memon is mentally unfit for execution as he has been suffering from schizophrenia for the last 20 years. “His mental condition has been certified by jail doctors. Schizophrenia as a mental illness has been held by the Supreme Court to render a convict unfit for execution,” they said. They have also cited that commutation of death sentences of convicts in other terror cases like late Prime Minister Rajiv Gandhi assassination case. “It is also worthwhile to note that death sentences imposed on the aides of Veerappan (convicted and sentenced to death under TADA), Rajiv Gandhi killers and Devender Pal Singh Bhullar have been commuted recently by Supreme Court. “While the mercy petitions of Verappan’s aides, Rajiv Gandhi’s three killers and Devender Pal Singh Bhullar were decided belatedly by the president, thereby giving them the claim of delay jurisprudence, the home ministry has moved swiftly to reject Yakub Abdul Razak Memon's mercy's petition,” they alleged. The petitioners said that it seemed that “subjective factors” were the basis of decisions which lead to arbitrary actions. They also argued that the death sentence has been awarded under TADA which was repealed. “Memon has been tried and sentenced to death under TADA, a special law which was repealed by Parliament on account of it having been used to target minorities,” they said and referred to a Supreme Court judgment, which according to them doubted the legality of prosecutions pursued after the repeal of TADA. “Given the highly compromised rule of law credentials of TADA, executing Yakub Memon will perpetuate the dark legacy of this law,” they said.